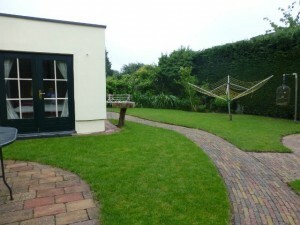 House offering short or long stay accommodation are located about 8 kilometers from Schiphol Airport. Mostly in Aalsmeer. Aalsmeer is located at a big lake which has various water sports like, boat trips, boat hiring, small beach, surfing, swimming, cycling and walking paths. Restaurants are dotted along the lake and on the jetties. An indoor and outdoor swimming pool. Many tennis clubs, fitness centers, football clubs, midget golf, parks, bike hiring, jogging tracks, art galeries, shops, restaurants, take away shops, bars, Petrol stations, free parking, hotels, churches and lots of monumental buildings, artecteur, not to mention its interesting history. Theres a market held on the square in Aalsmeer every Tuesday. The biggest flower auction in the world is in Aalsmeer. Very old picturesque place. Good bus service. Friendly International athmostphere. English is widely spoken because this area not only has the Big Flower Auction, but Schiphol Airport is so nearby and verious big International Industrail parks. The area is very accessable because its just off the main Motorways, but still enough away to have a very quite and relaxing athmostphere. One can leave Aalsmeer’s old autentic area and be on the main A4 motorway within 7 kilometers. Bus services are very plentiful too. One can take a bus withing minutes walk from any of the houses which offer Accommodation, and be at Schiphol Airport in a 10 minute bus trip. There’s a bus Card system in Holland which works very easy and only costs 1,- euro per trip to and from Aalsmeer to the Airport. Amsterdam Center is only 18 kilometers away, and places like The Hague, 45 kilometers. Beaches are plentiful in Holland and vary from 18 kilometers away. If one goes to GOOGLE Earth and types the WATERTOWER AALSMEER in, one can see the beautiful lake and location. This watertower is a good landmark of Aalsmeer. It can easily be spotted by plane before landing at Schiphol Airport. My house is almost next to this water tower. Plus the other Accommodations are all in and around this area.